Video preview from Roy Delaine Moore’s new album titled “Mountain Tracks” recorded at SCPrecording.com, produced (mixed & mastered) by Bob Webber. The CD new release from Roy Delaine Moore was produced by Bob Webber and recorded at Sugarloaf Canyon Productions studio – located in the foothills of the Colorado Rocky Mountains, west of Denver. The ten song selection is the first release from Mountain Trax Records, and it features several special guest musicians who contributed to all ten of the tracks performed by Roy Delaine Moore. Nine of the ten songs are originals written by Roy Delaine Moore. Sugarloaf Canyon Productions – digital recording studio in the Colorado foothills near Denver. Bob Webber, a previous and founding member of Sugarloaf (Band), has launched a new Colorado recording studio in the nearby Denver foothills. 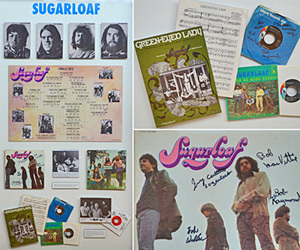 His international recognition and experience, as the guitarist with Sugarloaf, on the hit recordings of Green Eyed Lady and Don’t Call Us, has proved to be a valuable launching ground for his new venture: Sugarloaf Canyon Productions. of-the-art Pro Tools & UAD-2 system, and has already produced several albums by Colorado artists. The Colorado Music Hall of Fame, currently located in the 1stBank Center concert venue, has been created to honor those individuals who have made outstanding contributions, to preserve and protect historical artifacts, and to educate the public regarding everything that’s great about our state’s musical history. Another legend in the Colorado region has passed…. The producer who made Colorado a destination for the biggest names in music died Sunday. Barry Fey was 73. 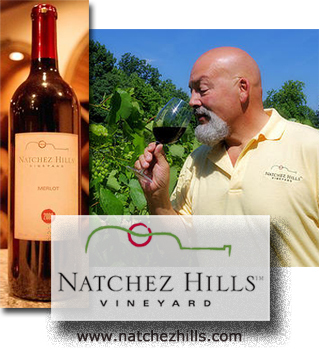 John Susi, a Colorado Winemaker and owner/winemaker at J. Susi Winery in the Colorado area, has migrated to Tennessee, where he is now the head winemaker at Natchez Hills Vineyard, Hampshire Tn. Early in his career, prior to being a noted winemaker, he was road manager and security for storied legends like the Rolling Stones, The Who, Alice Cooper, ZZ Top, Sugarloaf and The Electric Prunes. His travels around the world took him through many a wine country, where he discovered the art of winemaking and developed an appreciation for wine from varied regions. 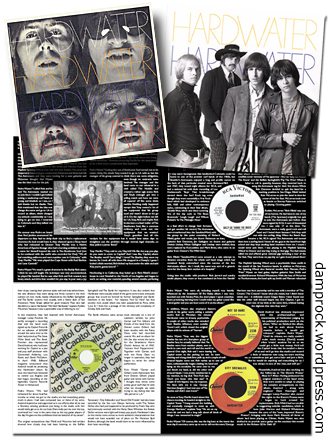 Their début LP, produced by David Axelrod for Capitol Records, – released in 1968 – has been reissued by Cherry Red Records in the UK. 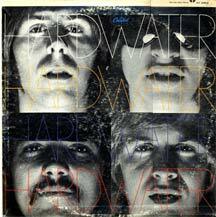 Hardwater, a talented group of song writers and vocalists, now has their first CD from that original master almost forty years later. The Grammy winning producer David Axelrod, whose credits included producing Cannonball Adderley, Lou Rawles, Don Randi, etc. was contracted to complete the inaugural album for the group. Two singles were launched from the album. country rock, they explore the same dusty roads as The Byrds and the Buffalo Springfield. Alongside their original compositions, they seamlessly fitted in interpretations of three tracks written by John Carter and Tim Gilbert of fellow Denver band the Rainy Daze.The complete album from the master tapes for the first time on CD with copious liner notes and a plethora of rare photographs. 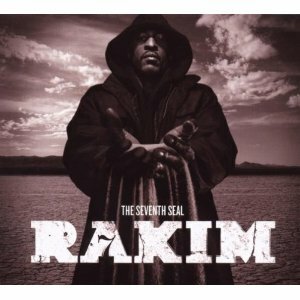 A 1968 recording made in Los Angles at the Sound Factory was recently sampled and the track, (along with the vocals) has found its way onto a current CD and single recorded by the legendary hip-hop/rapper/MC Rakim on his latest CD, titled The Seventh Seal (SMC). “Here we are, some 40 years since the original recording of Holy Are You, by the Electric Prunes, which was packaged into the 1968 LP, Release of An Oath. The last two Electric Prune CDs were re-issued in 2006. One of the tracks has resurfaced on a current hip-hop CD and a single,” says Richard Whetstone, vocalist on the original recording…”it’s hard to imagine that that album has been sampled numerous times, because the tracks were solid.” The original album has subsequently been re-released in the UK, US, and Australia in 2012. During a time when concept albums were beginning to emerge, Release Of An Oath utilized the arrangements of David Axelrod, along with a group of top LA session musicians to complete the ’68 LP that would be re-released in 2006 on Collectors Choice Music/Rhino. Hip-hop artist Rakim utilized the version of the original recording by the Electric Prunes on his The Seventh Seal, released in Nov. 2009. Rakim’s CD debuted in the #3 spot on the hip-hop charts. 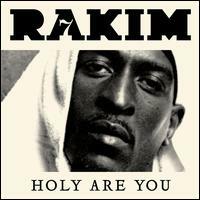 The track is titled Holy Are You, and maintains the same title on Rakim’s CD and his first single from the CD on the SMC label. 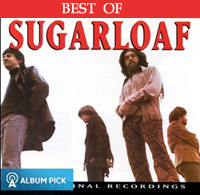 The track includes the vocal loop performed on the original 1968 recording with Earl Palmer and Carol Kaye on bass, along with Howard Roberts on guitar, Don Randi on keyboards, Pete ‘Pedro’ Wyant, guitar, etc. among other top LA session players. The current recording of Holy Are You on The Seventh Seal by Rakim features the instrumental track, along with the vocals of Richard Whetstone from the original Electric Prune recording. Even more ironic is concept for the original Release Of An Oath built the Kol Nidre (also known as Kol Nidrei and Kal Nidre) (Aramaic) which is an Aramaic declaration recited in the synagogue before the beginning of the evening service on every Yom Kippur, the Day of Atonement. Though not a prayer, this dry legal formula and its ceremonial accompaniment have been charged with emotional undertones since the medieval period, creating a dramatic introduction to Yom Kippur on what is often dubbed “Kol Nidrei night”. 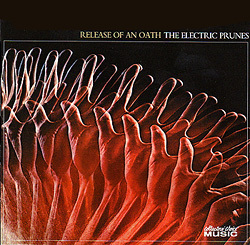 David Axelrod composed and conducted Release Of An Oath, working with Dave Hassinger, the Electric Prunes producer and owner of the Sound Factory. All of the material for that record was com­posed and arranged by David Axelrod, shortly after coming off triumphs as the producer for Lou Rawls and Cannonball Adderley. The original recording took three nights to complete and the first single to be released from the album was Holy Are You, sung by Whetstone. Add four decades, and you can now hear the hip-hop version on Rakim’s CD and single. 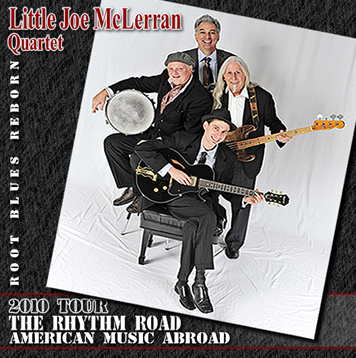 March 10, 2010 – Jazz at Lincoln Center and the U.S. State Department’s Bureau of Educational & Cultural Affairs announced that the Little Joe McLerran Quartet will tour to the Middle East with The Rhythm Road: American Music Abroad program. The blues quartet from Tulsa, Oklahoma, was selected from a pool of 132 applicants to travel abroad and promote cross-cultural understanding. International tour activities will include public concerts, master classes, lecture-demonstrations, workshops, jam sessions, collaborations with local musicians and media outreach. 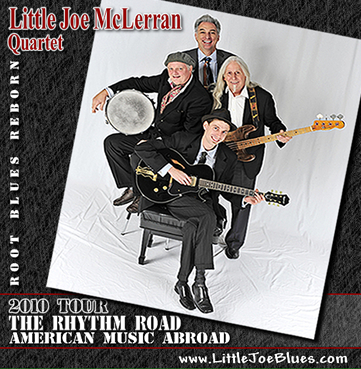 The Little Joe McLerran Quartet is a collective of seasoned musicians drawn from the ranks of Tulsa’s finest, who came together specifically for The Rhythm Road: American Music Abroad. The ensemble brings blues to life through the study and performance of this unique American roots genre, and all players are deeply committed to keeping the blues alive and bringing the music to diverse audiences. Little Joe McLerran Quartet believes that blues explores music from many cultures and is filled with possibilities. In its unique approach, this ensemble presents blues and American roots as a “Soup Recipe,” which has been stirred, mixed, handed down, and revised by generations of people who brought their music from all over the world to America. Little Joe McLerran Quartet members describe their style as simple, supportive, inspired and, above all else, inventive. As part of The Rhythm Road, Little Joe McLerran Quartet will also perform two concerts in the United States. In Washington, D.C., the National Geographic Society will present the first concert on June 3, 2010 at 7:15pm at the Grosvenor Auditorium, 1600 M St. NW. The second concert will be presented by Jazz at Lincoln Center on June 5, 2010 at 2 pm at Dizzy’s Club Coca-Cola at Fredrick P. Rose Hall, home of the Jazz at Lincoln Center. For more information visit The Rhythm Road: American Music Abroad at jalc.org/TheRoad, now with additional elements including featured countries, bands, stories from the road, and more. The Rhythm Road: American Music Abroad program is made possible with underwriting support from the Bureau of Educational and Cultural Affairs of the United States Department of State. Jazz at Lincoln Center proudly acknowledges National Geographic Live as the Washington, D.C. concert series partner. WPFW-FM is the media sponsor for this series. U.S. Department of State’s Bureau of Educational and Cultural Affairs promotes mutual understanding between the United States and other countries through international educational and exchange programs. Through its Cultural Programs Division, the Bureau supports a variety of cultural exchanges that support U.S. foreign policy, foster America’s artistic excellence, and demonstrate America’s respect and appreciation for other cultures and traditions. The Rhythm Road: American Music Abroad program presents selected professional American performers on concert tours in countries with limited exposure to live American culture. For more information, visit exchanges.state.gov/cultural/rhythm.html. Little Joe has reached the #1 spot on the Roots Music Report in the blues catagory for the week of Jan. 29th ! Jazz at Lincoln Center in New York, NY and the U.S. State Department’s Bureau of Educational and Cultural Affairs recently announced the 10 ensembles who will tour with The Rhythm Road: American Music Abroad program in 2010.
International tour activities will include public concerts, master classes, lecture-demonstrations, workshops, jam sessions, collaborations with local musicians and media outreach. Over the past four seasons, 118 musicians from 31 ensembles have toured with the program, visiting 97 countries on five continents. Ensembles travel around the globe for approximately one month from March through December 2010. The program also incorporates free performances by each ensemble hosted in New York by Jazz at Lincoln Center at Dizzy’s Club Coca-Cola at Frederick P. Rose Hall, home of Jazz at Lincoln Center, and in Washington, D.C. presented by National Geographic Live! at the Grosvenor Auditorium. Jazz at Lincoln Center is dedicated to inspiring and growing audiences for jazz. With the world-renowned Jazz at Lincoln Center Orchestra and a comprehensive array of guest artists, Jazz at Lincoln Center advances a unique vision for the continued development of the art of jazz by producing a year-round schedule of performance, education and broadcast events for audiences of all ages. These productions include concerts, national and international tours, residencies, a jazz hall of fame and concert series, weekly national radio programs, television broadcasts, recordings, publications, an annual high school jazz band competition and festival, a band director academy, jazz appreciation curriculum for students, music publishing, children’s concerts and classes, lectures, adult education courses, student and educator workshops and interactive websites. Under the leadership of Artistic Director Wynton Marsalis, Chairman Lisa Schiff and Executive Director Adrian Ellis, Jazz at Lincoln Center will produce thousands of events each season in its home in New York City, Frederick P. Rose Hall, and around the world. U.S. Department of State’s Bureau of Educational and Cultural Affairs promotes mutual understanding between the United States and other countries through international educational and exchange programs. 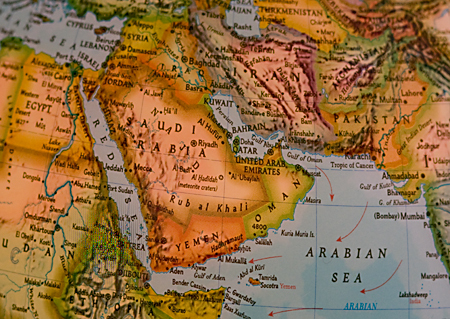 Through its Cultural Programs Division, the Bureau supports a variety of cultural exchanges programs that support U.S. foreign policy, foster America’s artistic excellence, and demonstrate America’s respect and appreciation for other cultures and traditions. The Rhythm Road: American Music Abroad program presents selected professional American performers on concert tours in countries with limited exposure to live American culture. For more information, visit exchanges.state.gov/education/citizens/culture/index.htm.